Please contact our customer service team if you wish to arrange an exchange. Please refer to our sizing chart when placing an order with us. Where can I purchase your merchandise? Our merchandise is currently sold on our website, www.thejaywalk.com and also available in Sporting Life stores across the GTA! The Fan Cave in Barrie, Ontario also carries some of our merchandise. We have pop up shops throughout the year as well and post the locations on our social media sites. Follow us to know where we'll be! We currently ship across Canada, to the Continental United States, and around the world! All shipping costs are the responsibility of the customer and will be calculated and applied to your order at checkout, as well as applicable taxes/duties, etc. We offer flat rate shipping. International orders may be responsible for paying additional duties prior to receiving their shipment in their destination country. We currently accept Visa, MasterCard, American Express and Discover. If you do not have a credit card, prepaid credit cards are also accepted! I've placed an order, when will I receive it? You will receive a notification email once your order is shipped with your tracking number. Are you affiliated with the Toronto Blue Jays? We are not affiliated with the team or organization. We do, however, aspire to obtain a licensing agreement in the future. 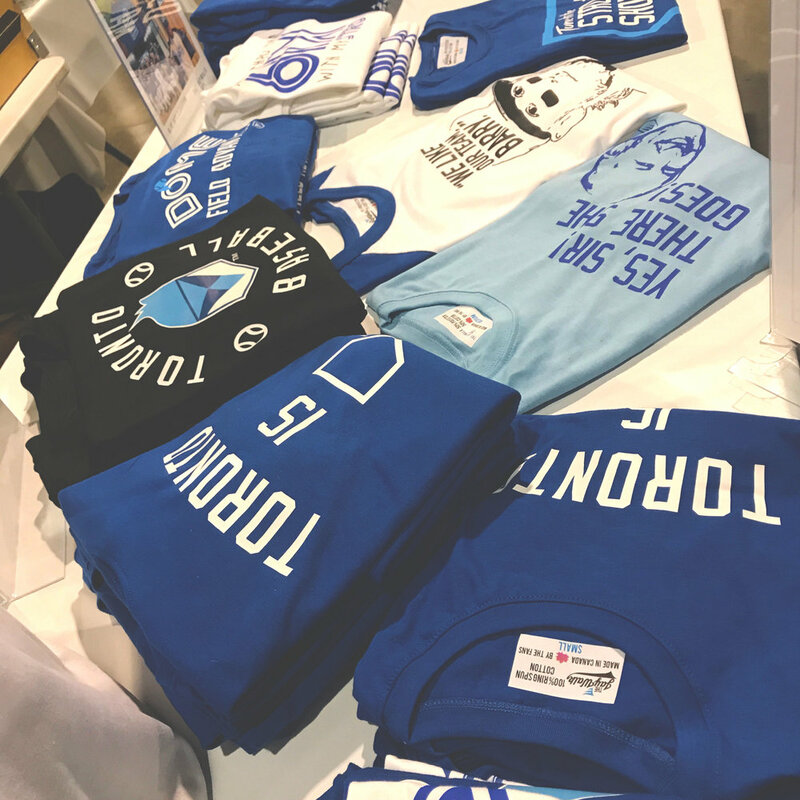 Our designs are one of a kind and reflect what it means to be a Toronto baseball fan. Toronto has an amazing fan base, and we think it's the best fan base in the league! What are the care instructions for my tees? Yes, our site is very secure. All credit card information is transmitted with a secure connection with our SSL encrypted checkout. We appreciate your business and support for Canada's team. Here's to an amazing 2017 season!